Our tee-shirts are colorful and unique! Get your fabulous Indigo tee-shirts this summer and start getting those admiring and intrigued looks right away! A Tee that not only makes you a ‘T-eam’ member but also ‘T-rendy’! High quality : 50-50 fully shrink-proof cotton blend, on a deep Indigo base to keep you looking… and feeling cool ! All sizes available: For Adults and Kids XS – XXL and YS – YL. You’ll feel proud to sport them and show them off! Wear them to your class or to the stage or even just a movie… it’s an ‘everywhere’ wear! We also provide super-comfy embellished academy hoodies. Great for getting out there in the cold after your workout and keeps you super-cozy. Extra-large pockets for your phone/gloves/assorted knickknacks! Check them out this winter! Bored of the same old tights and tanks at your dance workout? Shimmy things up a bit! Add a little jingle to your jiggle, with our sassy “hip-scarves”! Colorful & tinkling, they add just the right notes to your sashays and shimmies! So much fun, you’ll wonder why you didn’t own one before! Be it clothing, dance jewelry or accessories, we undertake orders for ideas beyond the ordinary. Give us a call to discuss your specific need. 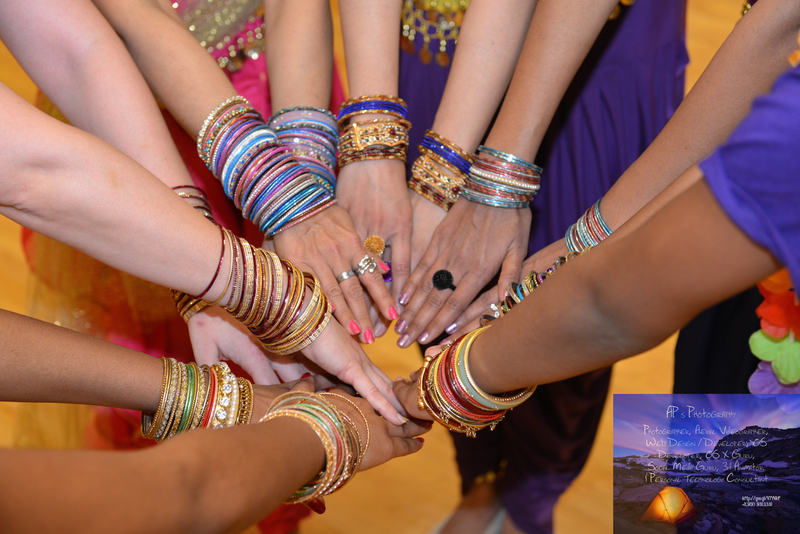 Make your Bollywood experience glamorous, fun and… easy! *Custom orders are undertaken based on MOQ of designs. Please bear in mind, DANCE costumes are not everyday traditional wear. They are specifically made for Dance only to bring out the flow of body lines and enhance the performer’s presentation.